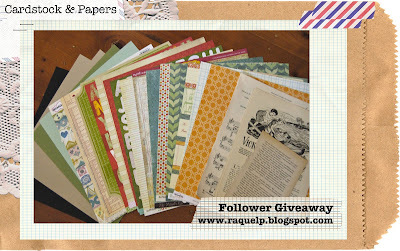 Included in this giveaway pack are papers from October Afternoon, Studio Calico, Cosmo Cricket, My Minds Eye and more!! Easily over $50 of retail value!!!!!! So....want a chance to win this kit???? Share this giveaway on your blog or Facebook.....include the pictures in your share and become a follower of the blog (if you are not already). Add your name and the link (either blog or Facebook share) to inlinkz box at the bottom of this post. Competition closes September 15th.... Good luck!!!!!!!!!! Looks great. You have some favourites of mine in there. Great minds must think alike...I'm just about to do a followers giveaway on mine too. Lol. 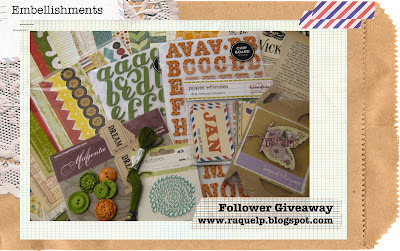 Wow awesome giveaway.I haven't been to your blog before.Now I am going to check it out! !I am now following and hqave shared on FB. Yummy yummy yummy, thanks for the op to win an awesome RAK! drool.... thanks for the chance to win! I followed Bev ... and became a follwer! You are just soo generous...love your work and will be following you now!!! Já sou sua seguidora e divulguei seu sorteio na barra lateral do meu blog. Um abraço e espero ganhar...ótimo prêmio!! !